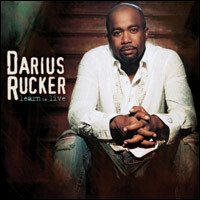 Former Hootie & the Blowfish lead singer Darius Rucker put out his country album Learn to Live in the middle of 2008, so it’s not really in the same category as the other albums I’m discussing this week (all of which had ’09 releases). But there’s no harm in getting it on record. Rucker has had an impressive second act, landing this album and its first three singles at #1 on the country charts, no mean feat in general but even more impressive as he’s the first black man to make that kind of impact in country music since Charley Pride. I’m almost entirely unfamiliar with Pride, but a quick scan of his biography shows what great company Rucker is in. A few days ago I reviewed TV on the Radio’s new album, Dear Science, following a swarm of year-end critical accolades and came to an unequivocal verdict: Believe the hype. Today I look at Lil Wayne’s equally praised Tha Carter III and my opinion is equally unequivocal: Don’t believe the hype. The best thing about this album is its cover art… it’s all downhill once you get to the music. I really can’t find a thing wrong with either of Jenny Lewis’ solo albums, but there’s not enough right with them to place them among my favorites. She writes and sings beautifully but her albums don’t have that special something that has me reaching for the repeat button when they finish. That said, Acid Tongue is a step up from 2006’s Rabbit Fur Coat and features several tracks that I do see myself returning to in the future. One of those is ‘Carpetbaggers,’ a country jam duet with Elvis Costello — his second such appearance this year, following ‘Jailhouse Tears’ with Lucinda Williams. Earlier this year I jumped on the My Morning Jacket bandwagon after ignoring the critical hype for a couple of years, and discovered that their latest album Evil Urges is one of the very best releases of the year. Now it’s TV on the Radio’s turn. After seeing their Dear Science album on a heap of year-end top ten lists, owning the top spot in several, I broke down and bought the CD. The early verdict: Believe the hype. This is easily one of the best albums I’ve heard in years. Volume 8 in Bob Dylan’s Bootleg Series is one of the best yet, and that’s saying a lot. This collection focuses on the past 20 years of Dylan’s career and it’s amazing that, though his voice has become more and more limited, his songs are just getting better and better. Though the two-disc set isn’t sequenced this way, it basically boils down to 1) a collection of live and alternate takes of songs on his last five studio albums, and 2) a dozen or so little-known gems that, if released as a proper album, would rank right up there with Dylan’s finest work. 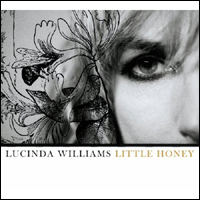 Lucinda Williams has been on a tear in recent years. After releasing a total of four albums during the first 18 years of her career, she has released another four in the past seven. Her latest, Little Honey, follows right on the heels of 2007’s West. Her most notorious dry spell was the six years between Sweet Old World and Car Wheels on a Gravel Road, when her perfectionism got the better of her and she refused to release Car Wheels until it was just right. And I can’t argue with that, because it is a perfect album… one of the few in my collection about which I’ll say that without reservation. But still, six years is a long time. 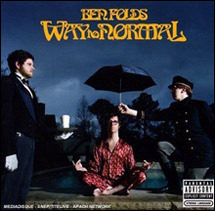 You know the old cliche that “so-and-so’s worst album is better than just about everything else out there” — well, Ben Fold’s new album puts that concept to the test. Way to Normal is definitely Folds’ worst album, but it isn’t bad by any means. It just feels like a big step down from the wonderful Songs for Silverman and Rockin’ the Suburbs — not to mention his work with Ben Folds Five.